One of the things I enjoy more in my job is that it gives me the possibility to work in several different countries. In the last months I've had the pleasure to visit several time Finland for a project developed by Neoen (the French developer that it's about to launch its IPO) and Prokon. It's a 81 MW project called "Hedet". 18 Nordex/Acciona N149 4.0-4.5 MW turbines will be installed under a full EPC contract in an area near Närpiö (a low - medium wind site in West Finland). It will be built in 2019, bust some preliminary works for roads and tree cutting have already been started. The energy will be used to power a Google data center (see my other post on this topic). It’s interesting to note that this is a private, unsubsidized PPA – meaning that it is a transaction between companies, not a “classic” setup where the electricity is sold by the developer to an utility for public consumption. I believe that this kind of deal will increase in the next years given the sharp decrease of solar and wind plants. In addition to Hedet there is a second group of wind farm that will be built in Finland in 2019, a portfolio of 107 MW divided in 4 different projects, all of them with the N149/4.0-4.5 MW. These project are developed by Ox2 (a big player in Northern Europe) and not EPC (they are "Clean Sell", to use a regrettable expression I've heard to define a Supply and Installation project). The Ox2 projects are founded by IKEA - now you know were your money end when you buy the "Billy" bookcase (I think I bought like 5 of them when I was young). Wind energy use is growing in Finland – the country started somehow late (in 2010 they had less than 200 MW installed) to accelerate strongly in the last few years. The country has over 2 GW installed now, covering about 5% of consumption. 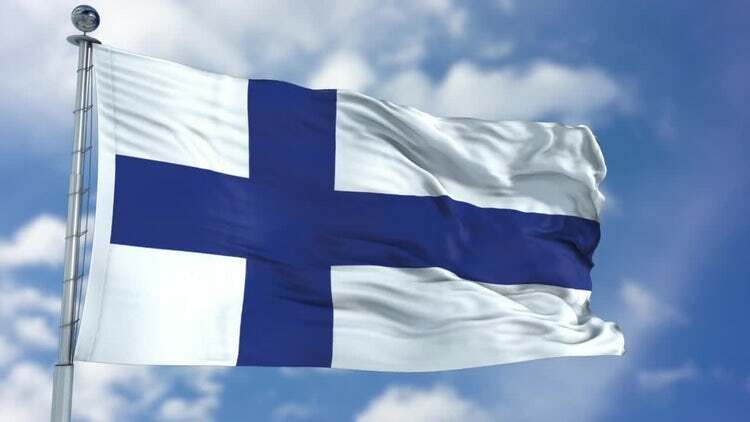 I would like to thank our colleagues in Finland and all the subcontractor we’ve worked with in the last months. Thank you for your hospitality! 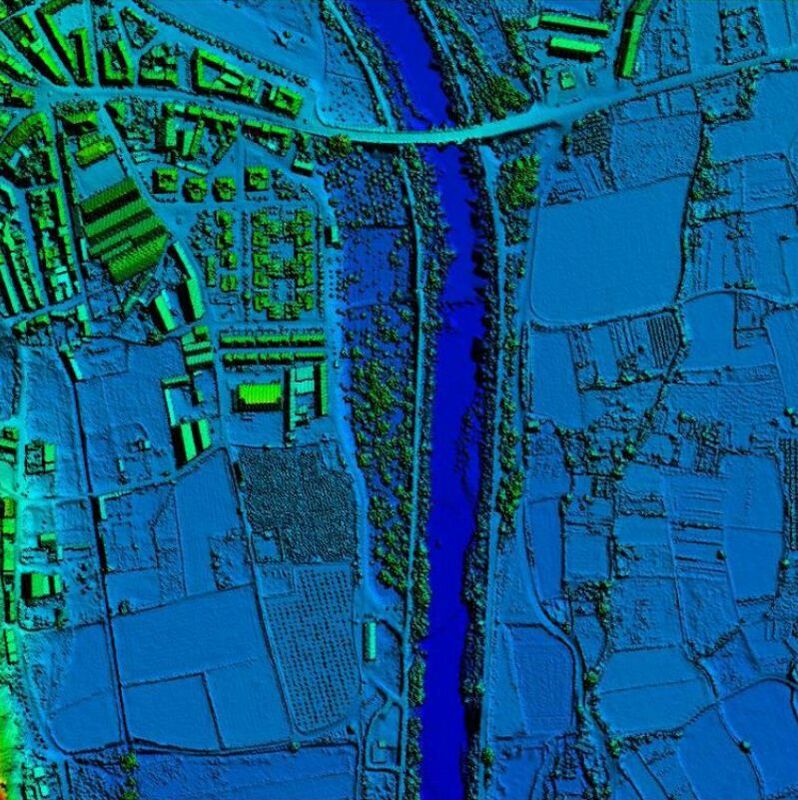 LIDAR topography is the best available solution available nowadays. We have used it in several wind farms and I’m enthusiast of the results. 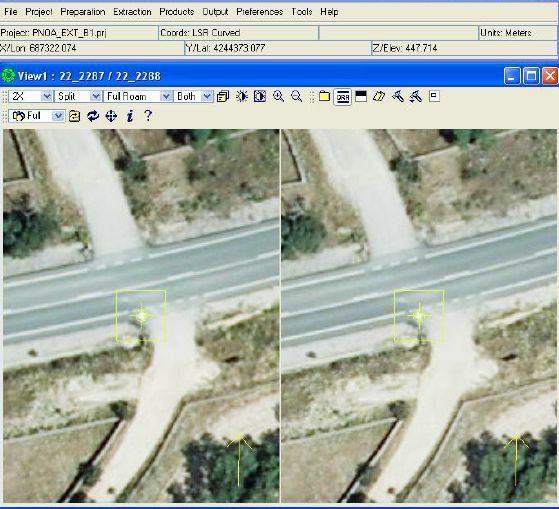 It can be used to define earthworks with great precision. 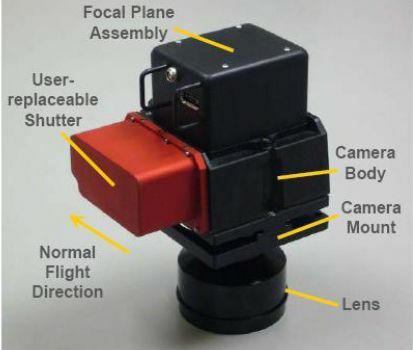 Basically it is made with an airplane flying with a laser, a digital camera and a GPS. The laser “sweep” the requested area and a receiver on the plane register the laser beam waves reflected by all the surfaces. 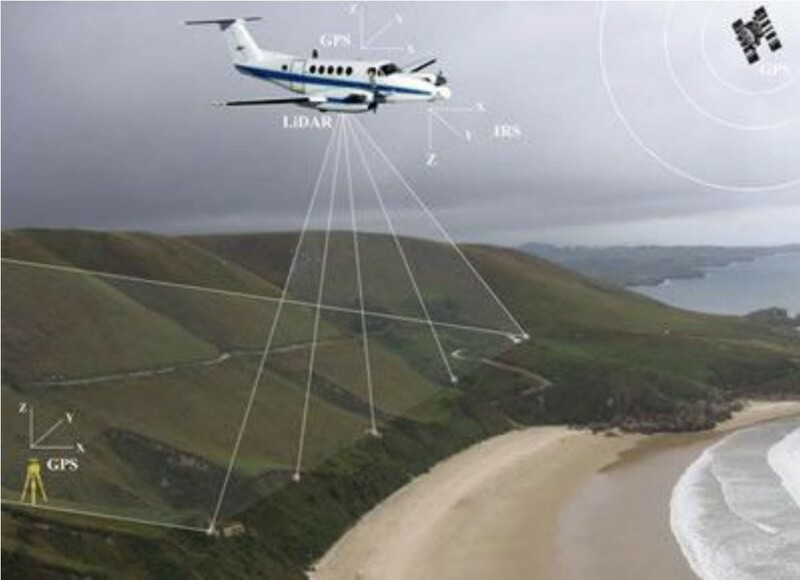 At the same time high quality digital pictures are taken, and the position of the plane is registered thanks to the GPS. After the flight, the cloud of point obtained is filtered: first of all points are divided in classes, depending on the type of reflection (“echoes”). Groups of points representing trees, bushes, buildings and so on can be defined. In the second filtering the intensity of the reflected beams is considered (vegetation and ground reflect with very different intensity). The next step is to calculate a mean between different laser passages, as the same point may appear in slightly different coordinated. 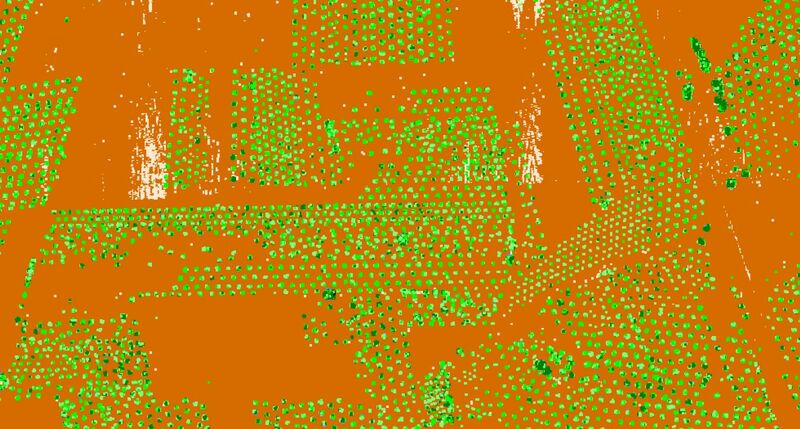 As a result of this data cleaning process, all the point can be classified as belonging to a type surface (trees, grass, building, and ground) and it’s possible to visualize them with a different color. Finally, a digital terrain model is produced using the Delaunay triangulation, to maximize the area of the triangles. One or more rows of turbine perpendiculars to the prevailing wind direction, with a distance between them of 2 or more diameters. For instance, if the diameter of the rotor is 100 meters, the distance would be from 200 to 300 meters. This distance is necessary to avoid induced turbolences to the rotor, than can affect the life of the generator. The number of turbine installed depend of the chosen model: a wind analysis is made, to define the WTG with the best fit for the location. An underground power collection system, normally around 20kV-30kV. Sometimes an above ground medium voltage power collection system is used, although it happens very rarely due to the visual impact. Here there is a trade off between greater spacing between the WTGs (=more production) and greater cables length (=more energy losses and cable cost). An operation and management (O&M) building, to store spare parts and perform maintenance. Can be integrated in the substation. A SCADA system, to collect and transmit data from the wind farm to the stakeholders. A high voltage interconnection line to the grid. The distance from the substation to the grid can vary greatly, and if the wind resource is sufficiently high longer distance can be feasible. 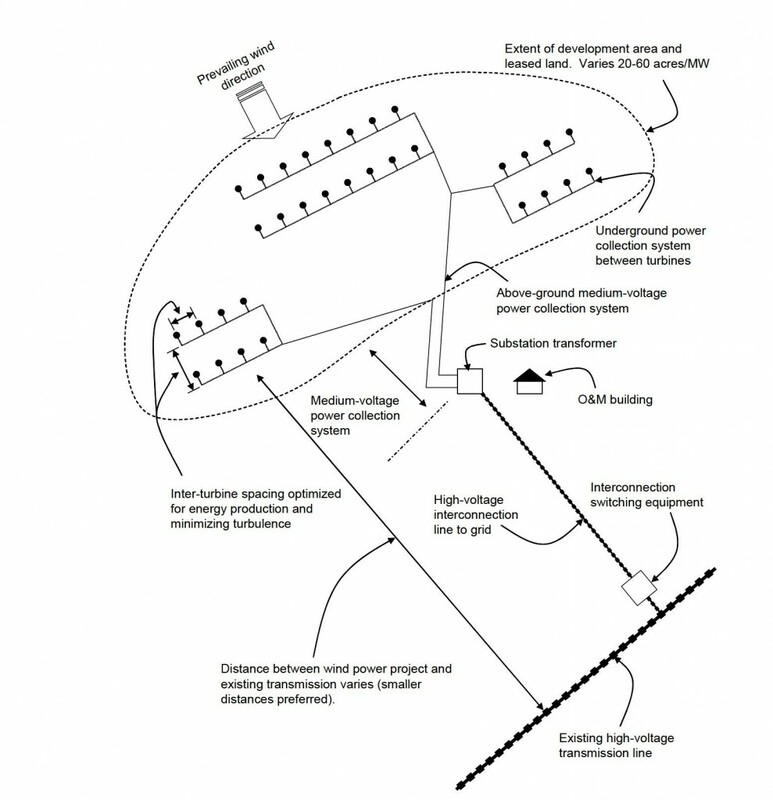 The interconnection point to the utility line can be co-located in the substation: in this case (frequent when the wind farm connects to an existing substation) there is no need for an overhead line. San Anton is a small wind farm (4 WTGs) located in Lillo, Toledo (Spain). I had the opportunity to follow this project from the beginning visiting the site very often. I collected several picture to show the main phases of a wind farm construction. First of all a met mast is installed, and wind data is collected. If there is enought wind in the area and the investment is profitable, an authorizative project is developed and transmitted to the authorities. Normally this project is developed using existing information, that is without developing a new cartography or other field works. With this information and a document provided by the seller of the wind turbine with the load transmitted to the base (shear, moment and vertical loads), a preliminary (or sometimes directly a constructive project) of the foundation is developed. Afterwards, a topographical survey is developed. 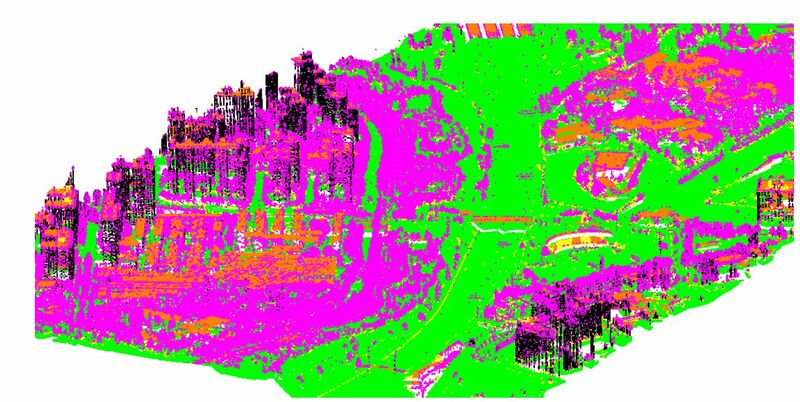 This can be done using standard field topography, a flight or LIDAR (a laser system that can provide a very dense cloud of point). 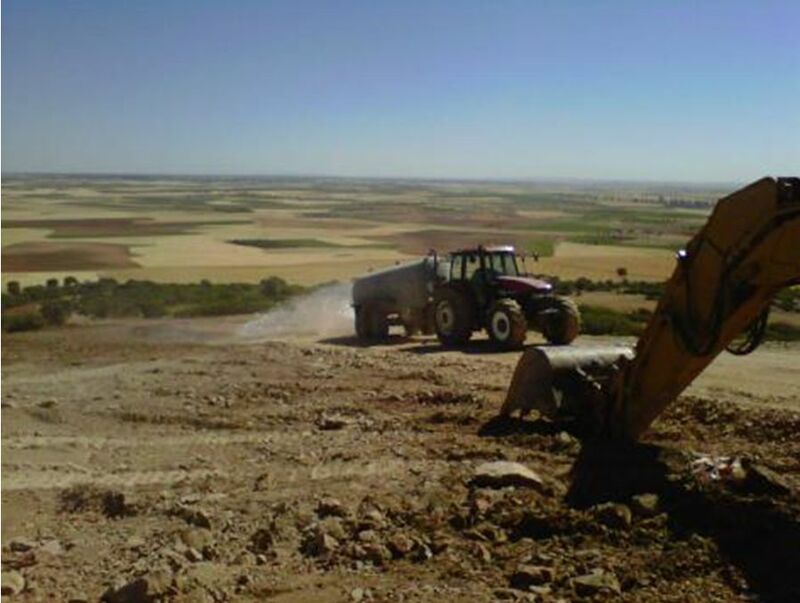 The following picture show the first step of the construction phase: topsoil stripping, an operation that consist in the removal of the first layer of fertile vegetal terrain that will be stocked and piled separately and used at the end of the works to revegetate the site area. The next step is what is called earthworks: the construction of embankments and cuts. For instance in the image below a crane pad is under construction. Several thousands of cubic meters can be moved during this operation. In parallel, the foundation for the met mast is constructed. 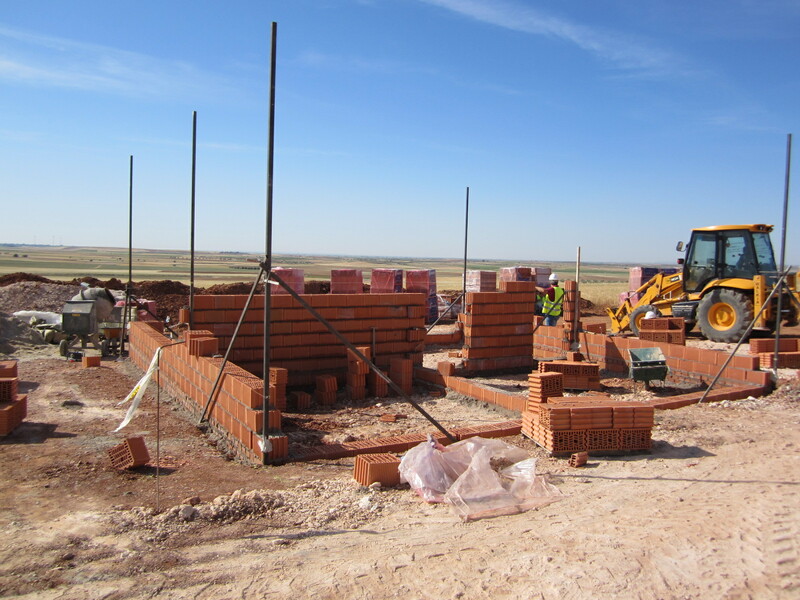 The mat foundation is smaller than a WTG foundations: it is around 7 x 7 meters. It has 3 pedestal where the met mast will be connected. 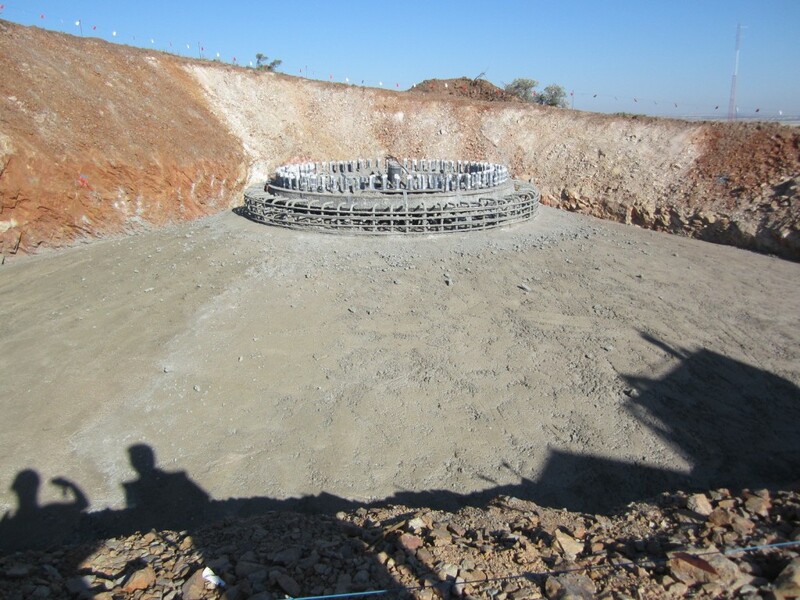 After, the circular holes for the turbine foundation are opened: here you can see the topographer checking the dimension and horizontality of the hole. 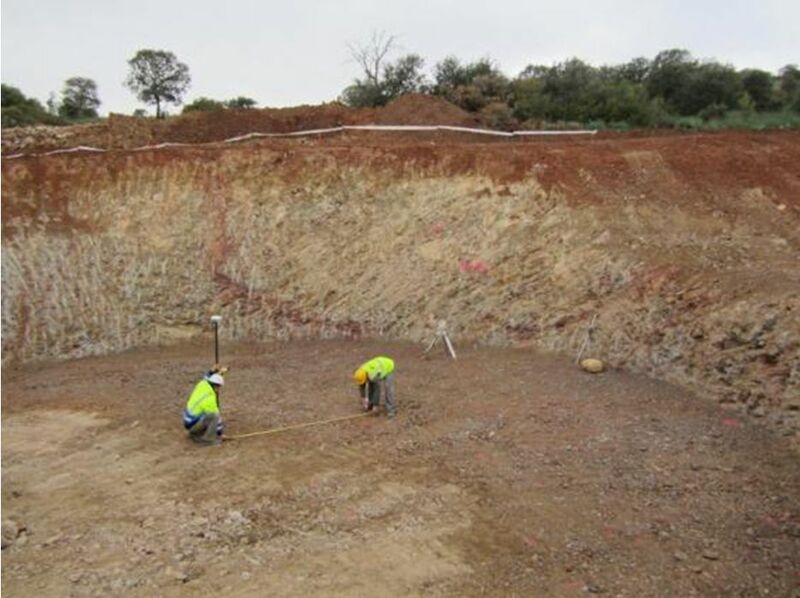 Several days of work are necessary to open the hole, depending on the hardness of the excavated material. The internal roads are continuously washed with water, to avoid accumulation of dust in the air due to the traffic of heavy trucks and other machinery. The following step is to pour the blinding concrete, to assembly the anchor cage and to position the steel reinforcement bars (rebars). More info here.